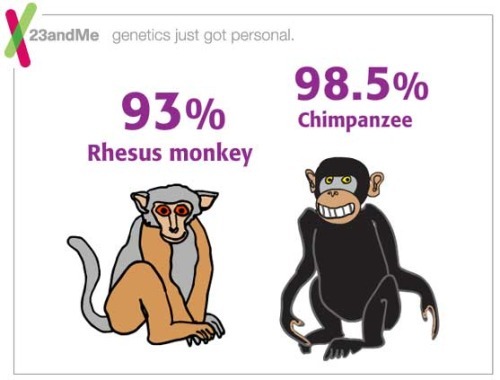 Like my daughters, like my mom--even like you!--I share a vast amount of DNA with the chimps, apes, and bananas. The consumer genetics testing company 23 & Me has a great Flash animation introduction to genetics. After reviewing, you can decided whether to pay $399, spit into a vial, ship it to 23 and Me, and enter the genomic mainstream. Inthe NYTimes articleMy Genome, My Self, writer and experimental psychologist, Steven Pinker, described his foray into unraveling his deoxyribonucleic acid and baring his personal biological blueprint as part of the Personal Genome Project.